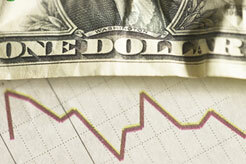 The possibility of a lasting economic downturn is the talk of the globe. From the gathering of the world leaders at the World Economic Summit in Davos, Switzerland, to the 24-hour cable market analysts, to the White House and all those on the campaign trail, reassurance, blame and proffered solutions are a dime a dozen. Many of the new headlines seem to focus on the big players  banks, countries, corporations and markets  not individuals. Sociologist Katherine Newman returns to THE JOURNAL to talk about how Americans all over the economic spectrum are affected by the ups and downs of the global economy. Bill Moyers interviews Katherine S. Newman, author of THE MISSING CLASS: PORTRAITS OF THE NEAR POOR IN AMERICA, about the millions of near-poor in America, who are just one disaster away from poverty. Financial columnist Gretchen Morgenson on the SEC, the mortgage crisis and other matters fiscal. Coverage ranges from candidate positions on the economy to how China's lending and asset buying impact the U.S. markets and economic stability. "Worries That the Good Times Were Mostly a Mirage." David Leonhardt, THE NEW YORK TIMES, January 23, 2008. Subtitled: "So, how bad could this get?" Financial reporter Leonhardt delves into the worries on Wall Street. The article also contains a link to enable readers to track reactions to the downturn, and to the article, in the blogosphere. Find out what the world's leaders are saying about the economic future with official coverage of the Davos Summit. Check in on the candidates' economic statements with NPR's ongoing election coverage. Perspective from FORBES' Advisor Soapbox. "What is the Middle Class?" A collection of NEW YORK TIMES articles and useful web links.